3. 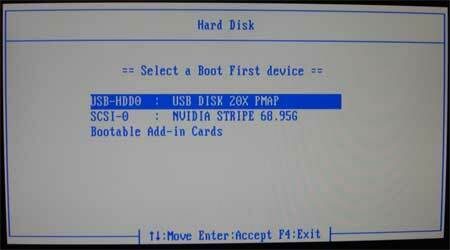 Use the arrow keys to select the Hard Disk option from the menu and press Enter to accept. 4. Your USB device should be listed. Use the arrow keys to select your USB Disk then press enter. 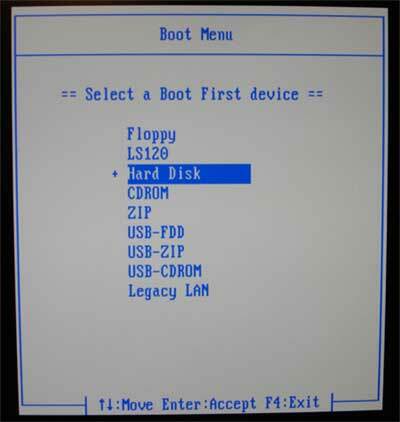 Note: If your USB device is not listed, you may need to set a boot flag to make the partition active. 6. You can now proceed to boot Linux from the stick.